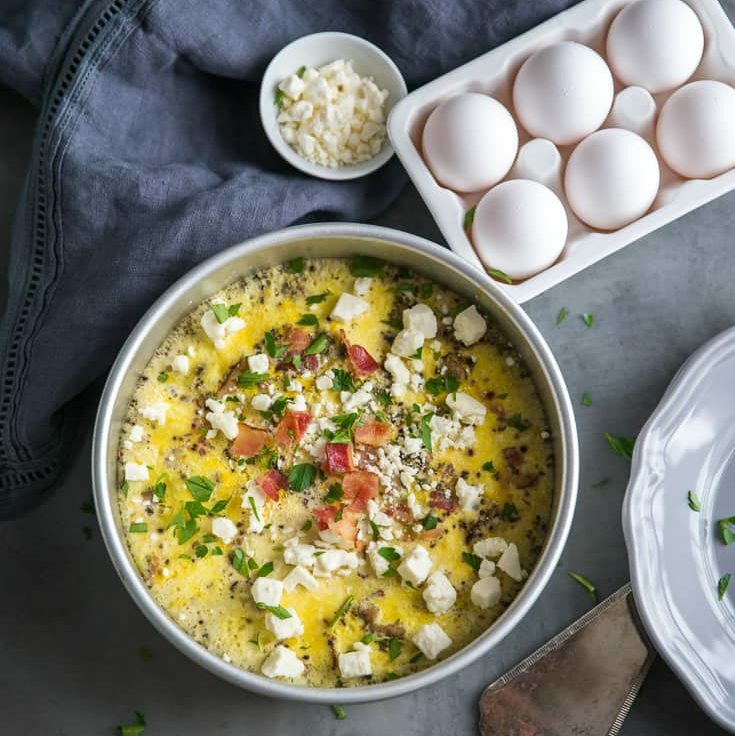 An Instant Pot Breakfast Egg Casserole by Ohio food blogger Lemons for Lulu is everything you love about an omelet in a meal-sized portion. It's a quick, easy meal that's perfect for any time of day! Set the instant pot to "saute". Add chopped bacon and cook until browned. Remove bacon and set aside. Add the sausage to the hot pan. Crumble and cook until no longer pink. Add the onions and cook until onions have softened, about 4 minutes. Remove meat mixture and set aside. Add all but 1 tablespoon of the chopped bacon to the sausage mixture. Spray an 8-inch cake pan or springform pan with non-stick spray. If you're using a springform pan, line the bottom with foil. 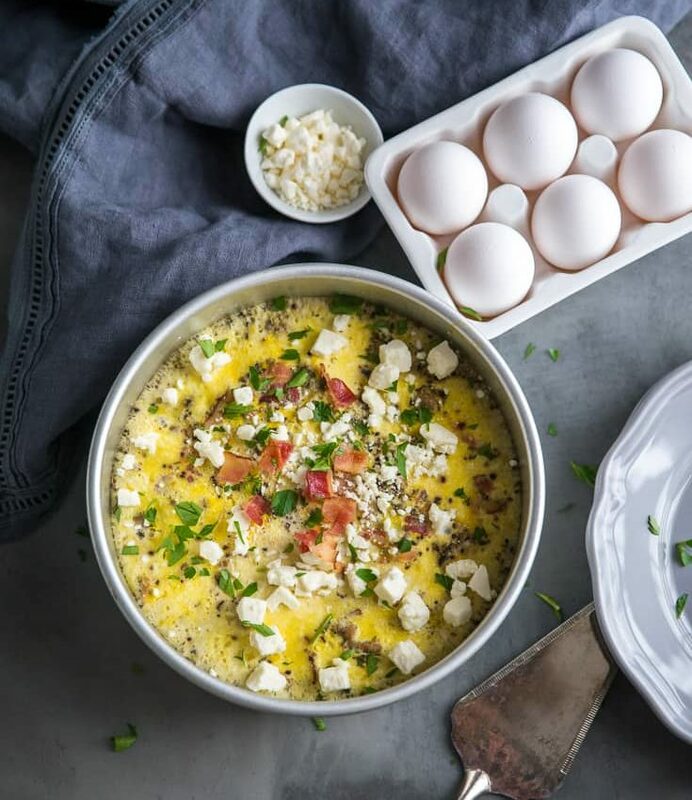 In a bowl, whisk together the eggs, milk, salt, basil and oregano. Spread cheese on the bottom of the pan, followed by the meat mixture. Pour egg mixture over the meat. Place the trivet inside the instant pot. Add 1 cup of water. Place the baking pan on the trivet. Place the lit on the pressure cooker and set it to 12 minutes on high. Carefully release the pressure valve, remove the lid and allow the casserole to stand for 10 minutes. Top with feta cheese and remaining bacon.